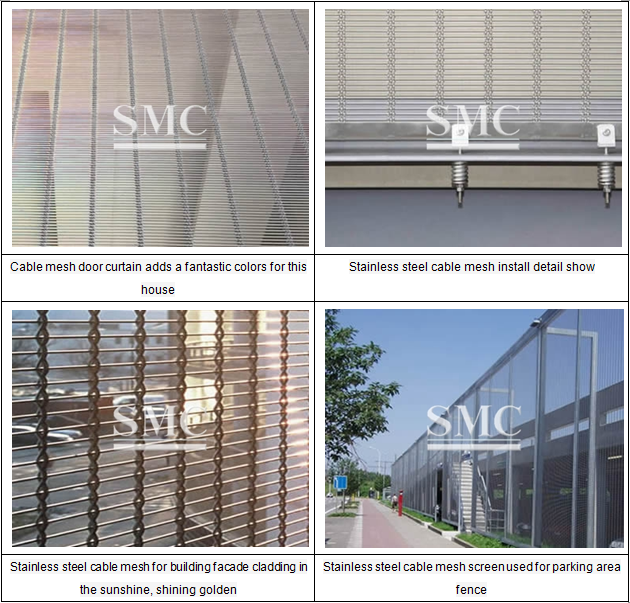 Compared with traditional glass curtain walls, decorative mesh for exterior wall cladding offers customers more selections. It separated the building from the outside for the protective and environmental sake while meeting aesthetic requirement. 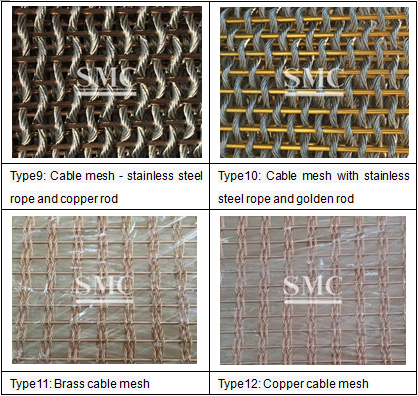 Shanghai Metal decorative mesh, the woven mixture of rods and ropes, is woven in different ways. 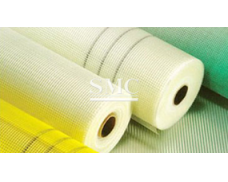 Due to the flexible nature of the rope, this decorative mesh can be packaged in rolls, which brings lots of convenience in the delivery. 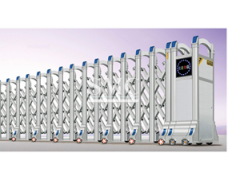 Thus there seems no limitation on the length of the metal mesh, thanks to the delivery advantage. 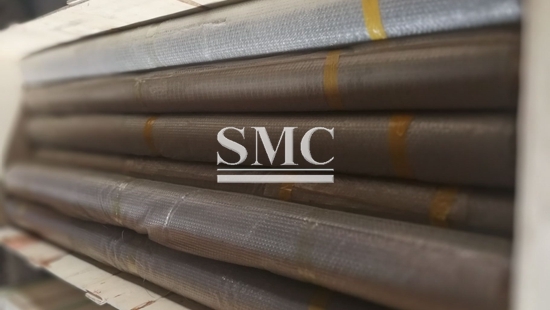 Manufactured with type 316 and type 316L austenitic stainless steel, Shanghai Metal products is of good anti-corrosion property without the protection of any coat. 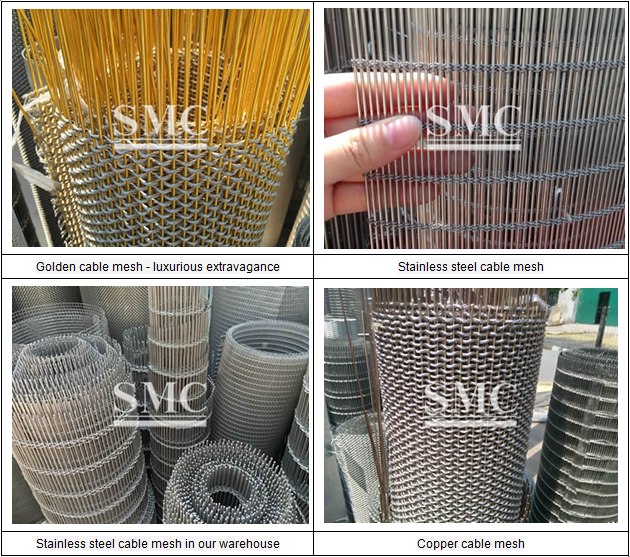 For every single order, the decorative mesh is clean and tidy when it is delivered to the customer. In many cases, it is very easy to clean. You can simply wipe and sweep it, or clean it with the soap water. Occasionally, you need powerful cleanser for cleaning. 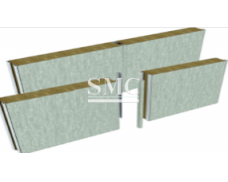 The simple processing of the mesh edges decreases the cost of installment. 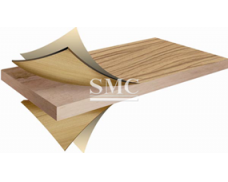 The specifications, size and color can be customized by your requirements. 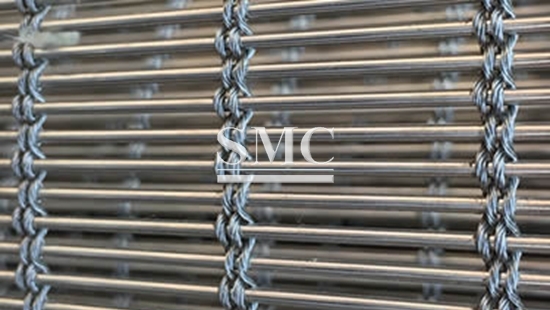 Cable mesh is made with braided cable ropes across the metal rods. This structure allows the material to stretch while maintaining the same plane stiffness in the other. 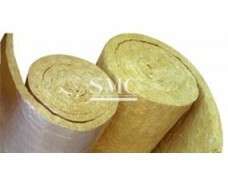 The material has unlimited durability, can bear the stress and deformation without damage. 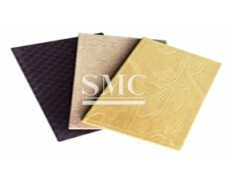 Its materials can be stainless steel, brass, phosphor bronze. 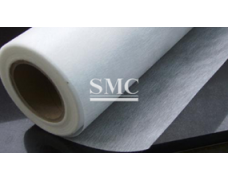 Stainless steel material has the best reflectivity and durability, so we mainly use stainless steel material. 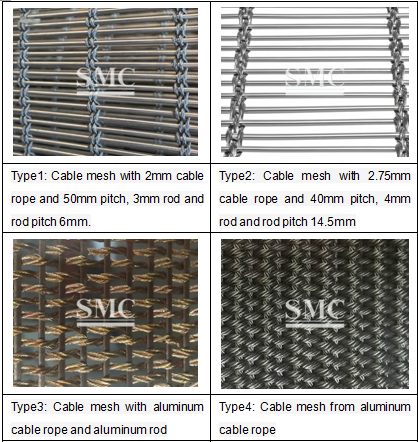 Note: The rod of aluminum cable decorative mesh is made of aluminum magnesium alloy wire woven, is characterized by a light weight. 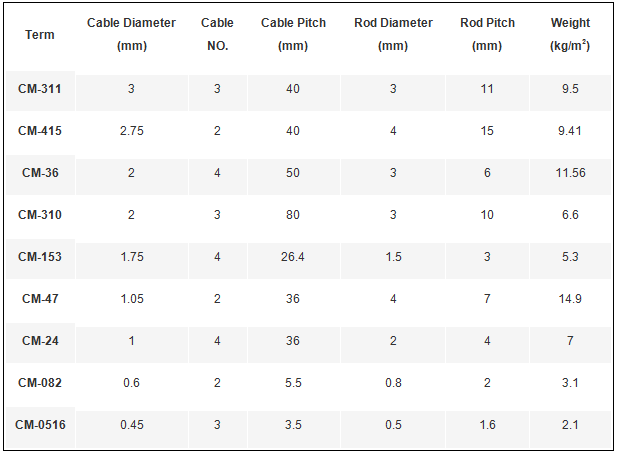 Weight of the same specifications decoration network 1/3. 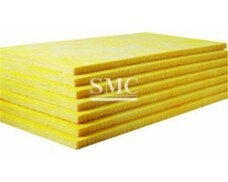 The color according to spray various color customer requirements. But it can only use indoor decoration can not be used for outdoor. Copper is copper color, so color range is narrow. 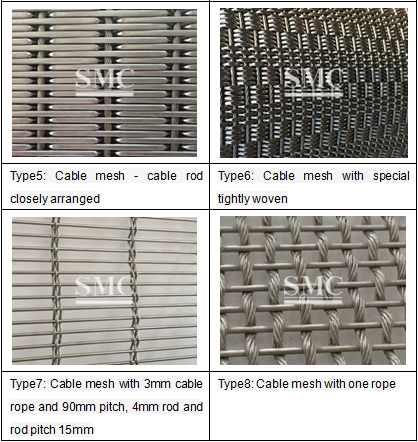 Cable decorative mesh products with durable, gorgeous high-end, are widely used in high buildings, elevators, luxury office buildings, hotels, grand ballroom, business hall and other buildings for indoor and outdoor decoration, as curtains, ceiling, room divider, railings, wall coverings, rolling shutters, shop-exhibition stands. In the light irradiation, it is very magnificent, elegant and refined.